Documentary filmmaker Hélène Choquette has won multiple awards at home and internationally. She casts an unflinching yet empathetic gaze on people whose voices would otherwise remain silent: THE REFUGEES OF THE BLUE PLANET, CHILDREN OF CHERNOBYL, AVENUE ZERO, FISTS OF PRIDE and UNITÉ 9: LE DOCUMENTAIRE. 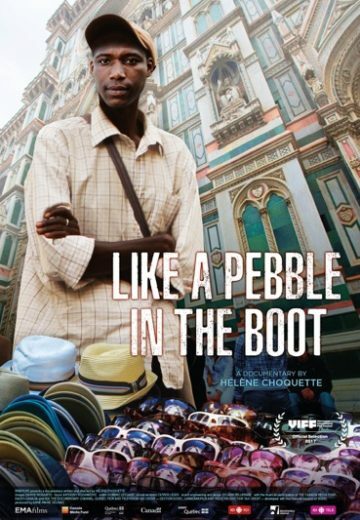 Hélène Choquette's documentary research led her to this compelling story of Senegalese street vendors in Florence, who have migrated to Europe for economic reasons, hoping for a better future for their families. In order to survive in the Tuscan capital, these migrants resort to street vending, invisible to the eyes of the ten million tourists who visit each year. Filmed between Italy and Senegal, the documentary focuses on the situation of these economic migrants, complicated by the Italian financial crisis and the tidal wave of refugees seeking asylum. Meanwhile, the families are unaware of their exiled loved ones’ hardships, living with the expectation of a possible return, or receiving a much needed money order.